If not for John Wall, Dwight Howard would probably be a member of the Golden State Warriors. “Shoutout to John for reaching out to me and asking me about joining this team,” Howard said. 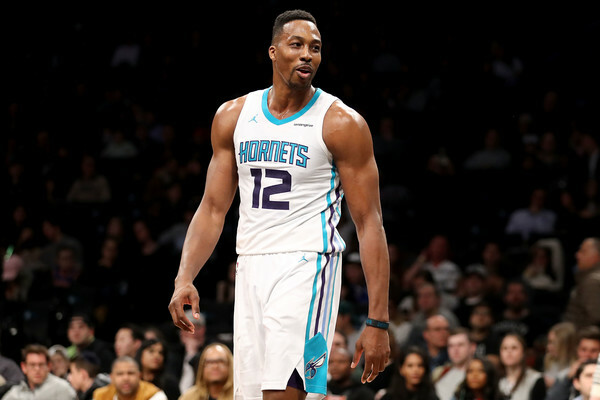 Howard, in fact, hadn’t really thought about the Wizards much at all when he began contemplating his next step as he proccessed a trade by the Hornets and a looming buyout by the Nets. It was while he was considering his options that he received a message on Instagram from Wall. This might be one of the least surprising free-agent recruitments in NBA history. Wall entered the offseason lamenting the Wizards’ absence of athletic rim-runners. Howard is well past his explosive peak, but he seems to fit the type of vertical-pop bill Wall was looking for in a pick-and-roll partner. The question, as it always is with Howard: Is Washington the right fit for him, or will his tenure there end like it has elsewhere, with missed expectations and a role transition unfulfilled?